Rotherham Council is being inundated with offers to purchase its remaining speculative development space on the Advanced Manufacturing Park (AMP). In March, landowners and developers, Harworth Estates, signed a £4.3m forward-purchase agreement with Rotherham Council for Plots 3 and 4 of the R-evolution development on the Waverley site. With construction almost complete, the council's cabinet approved the sale of Unit 3 earlier this month. Cllr. Dominic Beck, Cabinet Member for Business Growth and Regeneration at Rotherham Council, explained at a Cabinet meeting this week: "One of the units, we've already sold, and made a profit on that, and that was always the intention - that we would build them and not hold onto them but sell them. The taxpayer and public purse would reap the rewards of the surplus on that. "Because of the fact that it's on the Advanced Manufacturing Park, and because of the fact that it is held up nationally as an example of cutting edge, innovative business, regarding the other two units we've got, we are being inundated with approaches to buy them. "If and when in the future there's an opportunity to do this again, I will come to this Cabinet and advise colleagues that we do it again because we've made money, we've made the Council money, but crucially we've created jobs for local people, and we all know how much we need jobs. "We can't sit back as a Council and say that we don't have a role to play in this town of supporting the creation of growth and jobs." Last week it was announced that X-Cel Superturn, a global manufacturer of machined components, has bought a 30,000 sq ft unit from Rotherham Council for £2.75m in order to triple the size of its operation at the Enterprise Zone. Cllr. 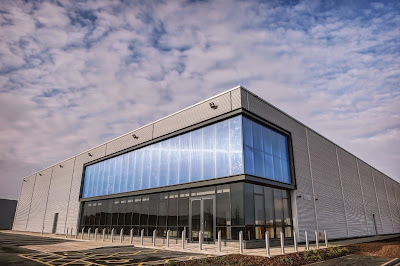 Beck, added: "The approach by a successful advanced manufacturing company to buy the 30,000 sq ft detached unit reveals a continuing high level of business confidence and strong demand for high-quality commercial property in Rotherham, whilst supporting our desire to attract high-value lasting employment. "The council decided to purchase three units from Harworth Estates last year to support and stimulate economic growth at the site. Whilst we always had confidence that this would be a successful investment our financial model was built around an assumption that the council might have to hold on to the units for up to five years until the investment market strengthened sufficiently to allow the council to achieve an acceptable sale price. "We have been extremely pleased with the level of interest our investment has generated and, in respect of this particular offer; the council is able to achieve all of its financial and regeneration objectives immediately without the need to hold the units." The Council deal unlocked a £2.7m loan from the Sheffield City Region Joint European Support for Sustainable Investment in City Areas (JESSICA) Fund, which was set up to support infrastructure and real estate investment opportunities across the region. It was used to pay for infrastructure works and the construction of new manufacturing units at R-evolution. Plot 1 (40,000 sq ft) was pre-sold to Maher, a supplier of high-performance alloys, and Plot 2 (25,000 sq. ft) to Nikken Kosakusho Europe, a supplier of precision engineering products. Colliers and LSH have been acting as agents. Owen Michaelson, chief executive of Harworth Estates, said: "We are delighted to see another key advanced manufacturing company expand at the AMP. The disposal of three of the five units at R-evolution so quickly justifies our decision to build speculatively and reinforces the strength of demand for high-quality industrial space at the development. "We are accelerating our plans for a second phase of R-evolution on five acres of the 68 acres that remain to be developed for employment use at Waverley. That will be followed by a larger development of up to 300,000 sq ft, called "AMPlify" on a further 21 acres." There are currently around 700 people employed at the AMP, with the potential for over 2,000 new jobs to be created through further development. There is around 70 acres of employment land remaining on the Waverley site.